We offer a multi class and multi child discount. – Second family member registration is discounted from $45 to $25/year and a third or more family member has no additional fee. 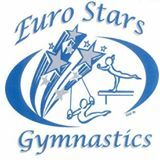 Euro Stars Gymnastics offers recreational and competitive gymnastics. Girls who are interested in progressing faster should consider a second class each week. Increasing time in the gym helps with skill development through both practice and muscle memory. 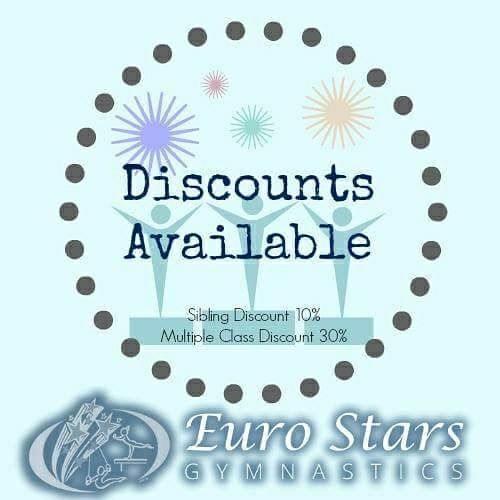 We offer a 25% discount on additional gymnastics and tumbling classes offered through our recreational program. If you have more than one child, we offer a 10% discount for additional siblings in our recreational and preschool classes. Our Summer classes are flexible so no additional discounts are available. Please note that summer camp and summer class tuition is non-refundable. Sibling and multiple class discount does not apply to summer tuition.